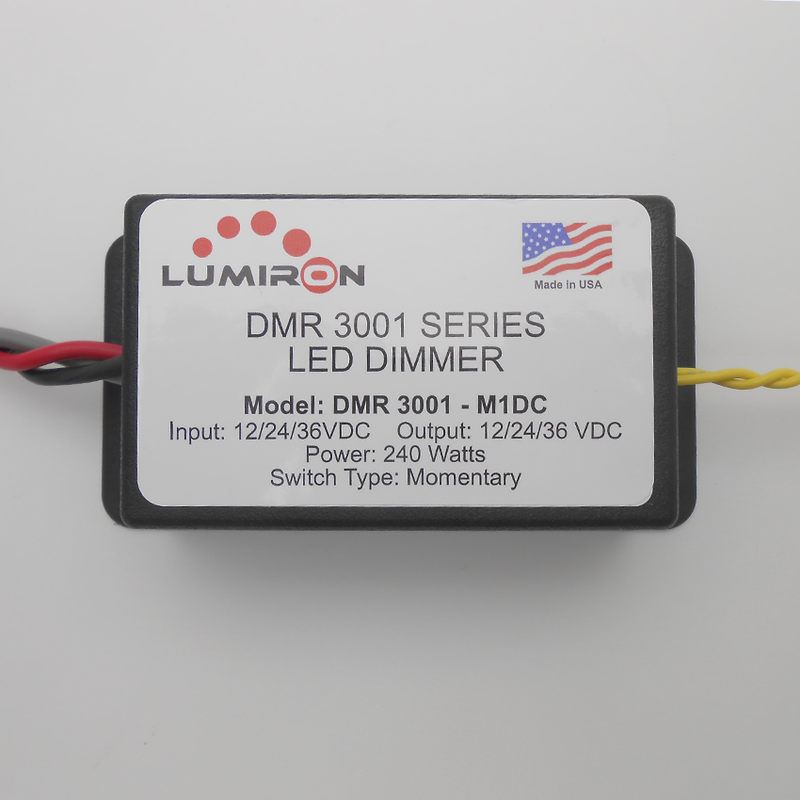 The DMR 3001 PB DIMMER – M1DC is part of the LUMIRON line of new dimmers. 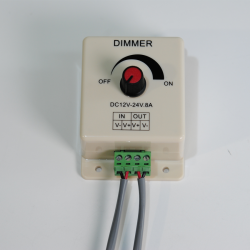 This dimmer is created for ease of use with an ONE-TOUCH Momentary Switch On / Off and Dimming that works with major control panel and relay systems and is designed to work with a single color series. 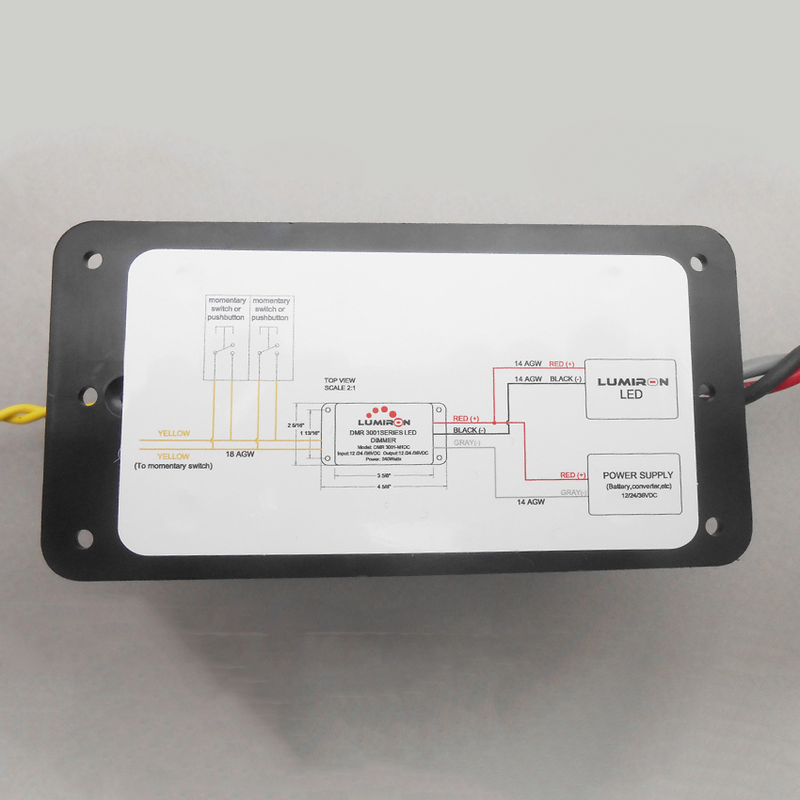 This single switch will control three functions on – off and dimming with the ability to dim completely from 0 – 100%. 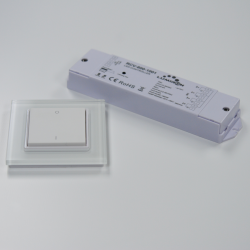 DMR 3001 PB DIMMER has a built-in memory that keeps the last function used in memory and a Digital, PWM, Full dimming 256 levels, with soft and steady lighting, no flicker. 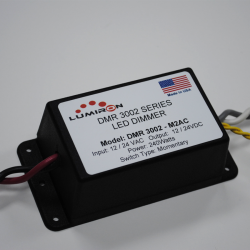 The DMR 3001’s ability to truly dim allows you to create the level of illumination or ambiance desired DMR 3001 is waterproof IP65 which makes it a great part of your indoor and outdoor design plans and an ideal choice for any marine application. 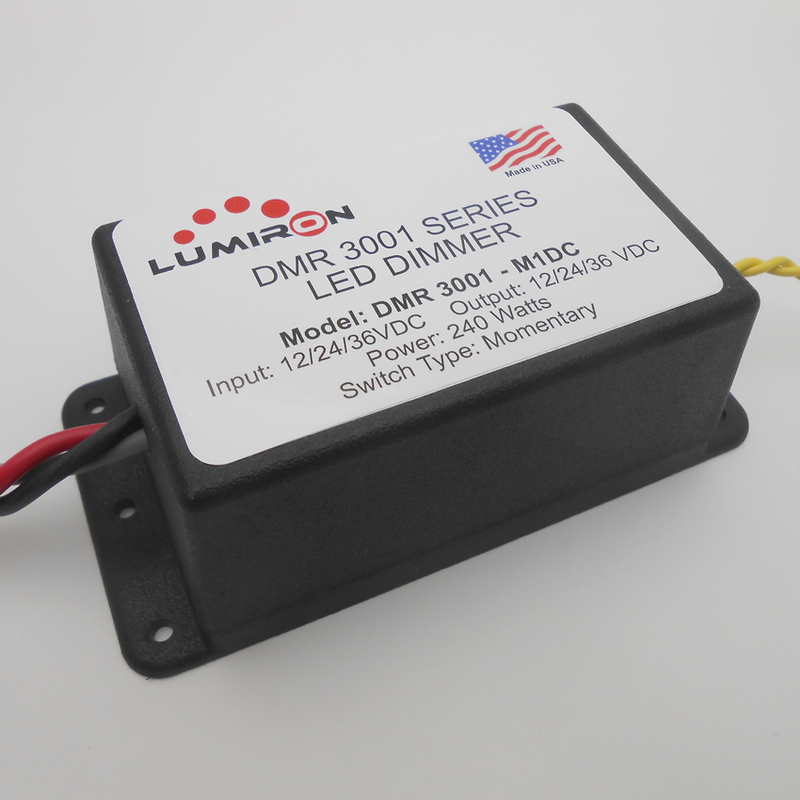 LUMIRON’S DMR 3001 – M1DC dimmer is easy to install, easy to use and it works with any major control panel and relay system.